In the lead-up to the Brexit referendum, supporters of the "Remain" camp had expressed concerns that a vote to leave the EU would compromise the United Kingdom's own integrity. Rumblings from Scotland seem to be confirming this prediction. In a poll published Yesterday (Saturday), results show 59% of Scottish citizens now want to leave the United Kingdom, a sharp increase from the 45% who voted for Scottish independence in the March 2014 referendum. This was the first poll conducted after the UK as a whole voted to leave the European Union. Scotland itself voted overwhelmingly to stay in the EU, at 62%-38%. Nicola Sturgeon, First Minister of Scotland and head of the Scottish National Party (SNP), said that it is now "highly likely" that there will be a second vote for Scottish independence. "I intend to take all possible steps and explore all possible options to give effect to how people in Scotland voted - in other words to secure our continuing place in the EU, and in the single market in particular," the First Minister said. 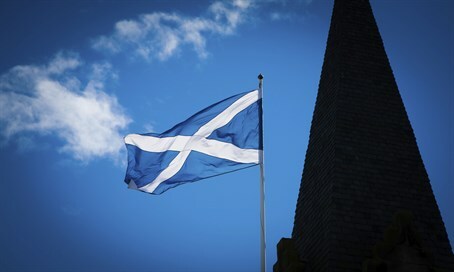 Though an ardent supporter of Scottish independence herself, Sturgeon added that there are no plans to hold a new Scottish independence referendum in the immediate future, due to the tension and instability of the current climate.